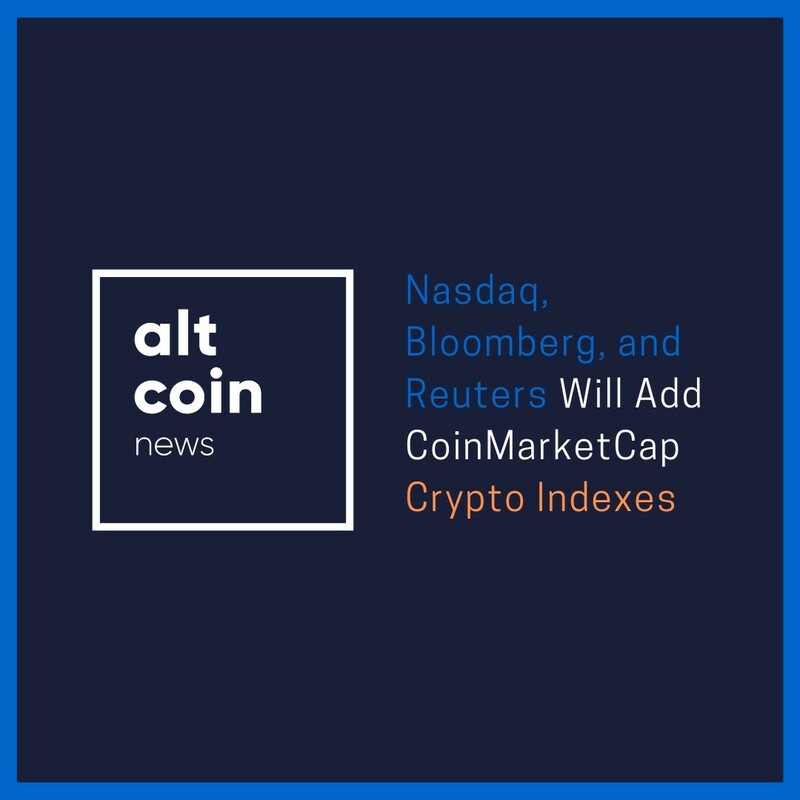 On this Wednesday, two benchmark crypto indices of the CoinMarketCap tracking service will be launched on the platforms Nasdaq Global Index Data Service (GIDS), Bloomberg Terminal, Thomson Reuters Eikon (Refinitiv) and the Stuttgart Stock Exchange, and also on the portal itself. According to CoinMarketCap, the presented indices are the “most comprehensive” offers in the field of cryptocurrency market data and cover the 200 largest digital assets by market capitalization. The CMC Crypto 200 Index (CMC200) includes Bitcoin and, according to the company, covers more than 90% of the global crypto market. The second index — CMC Crypto 200 ex BTC Index (CMC200EX) — allows you to monitor market behavior without taking into account Bitcoin, which currently accounts for more than 50% of the capitalization of the segment. “Thanks to these indices, the availability of cryptocurrency market data will increase in an easy-to-share format,” said Brandon Chaz, CEO of CoinMarketCap. To implement the initiative, CoinMarketCap has entered into an agreement with the German supplier of financial indices Solactive, which will settle and administer both instruments, as well as re-balance them on a quarterly basis. Data on the behavior of markets will come from CoinMarketCap. According to Solactive Sales Director Fabian Colin, cooperation with CoinMarketCap will allow his company to develop individual indices for its customers. Earlier this week, CoinMarketCap, in collaboration with a startup Flipside, added a rating system for its largest cryptocurrency to its website.